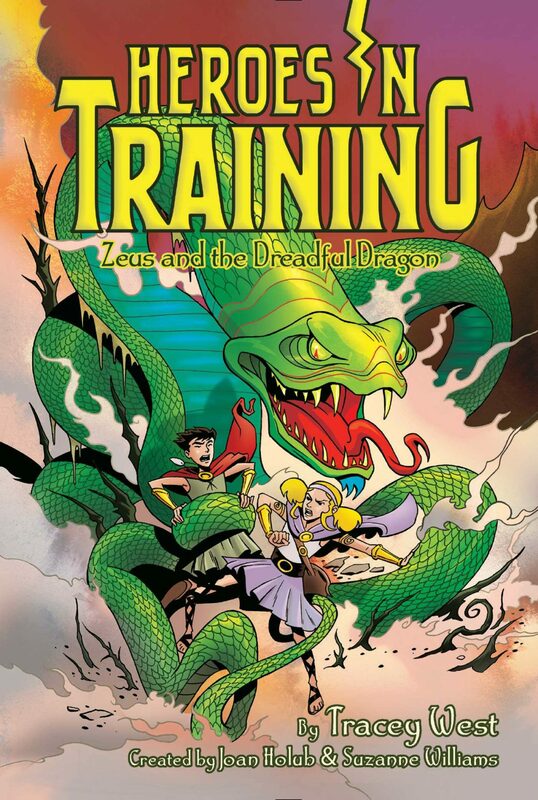 Zeus and his friends try to free Briar, Kottos, and Gyes from Tartarus so they can finally beat Cronus once and for all in this Heroes in Training adventure. The fourteen Olympians and Ron are headed toward Olympus. Ron is telling them the rumors that the Titans have all escaped Tartarus and are gearing up with Cronus for a final battle with the Olympians. When they reach the sea, Oceanus attacks them by surprise. They are almost washed away by a tidal wave when mysterious woman appears and saves them. It is Gaia, the wife of Uranus—and grandmother to Zeus and most of the Olympians. Gaia is on the side of the Olympians, partly because she believes that they will be better for the planet than Cronus, but also because she is angry with her son. He has imprisoned his three brothers: Briar, Kottos, and Gyes. She says if the Olympians free them from Tartarus, they will help the Olympians defeat Cronus. But can the three brothers be trusted? And can the Olympians defeat Cronus once and for all?